Last weekend was a resounding success for our team: we managed to pull off three events with amazing outcomes. We spent three days in Tampa, Florida, at the Florida PTA. This marked a great beginning, as we sparked lots of interest in our work from the very start. Our second appearance was at the ASCA annual conference in Los Angeles. This event was extremely valuable to us because we were able to learn about the topics currently being discussed in U.S. schools. 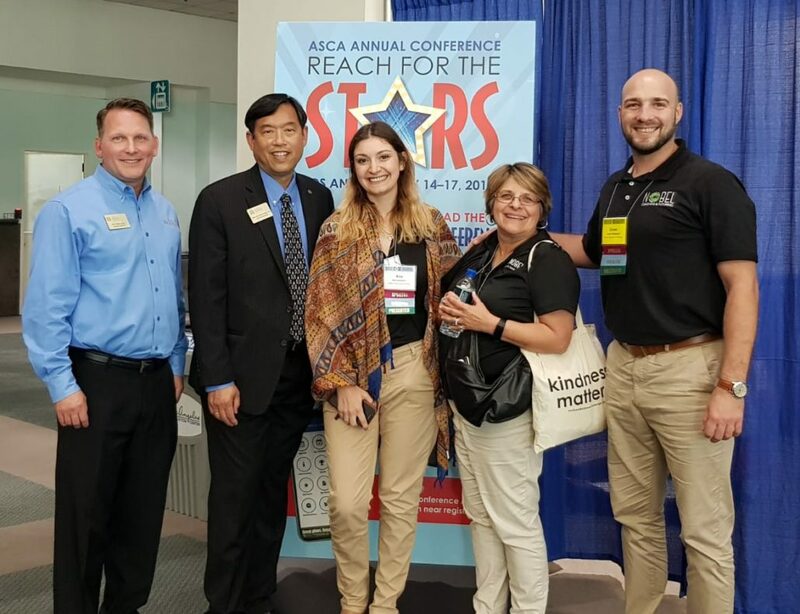 We also managed to get a picture with ASCA Executive Director, Richard Wong, and ASCA Assistant Director, Eric Sparks. 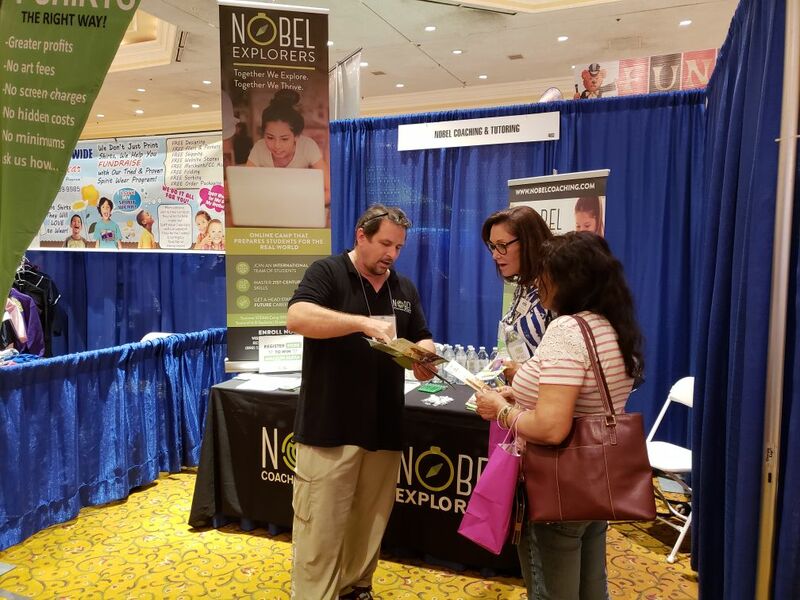 The last event we attended was the MD PTA conference in Baltimore. We were delighted to see enthusiasm at all three venues and to discover visitors were already familiar with our work. 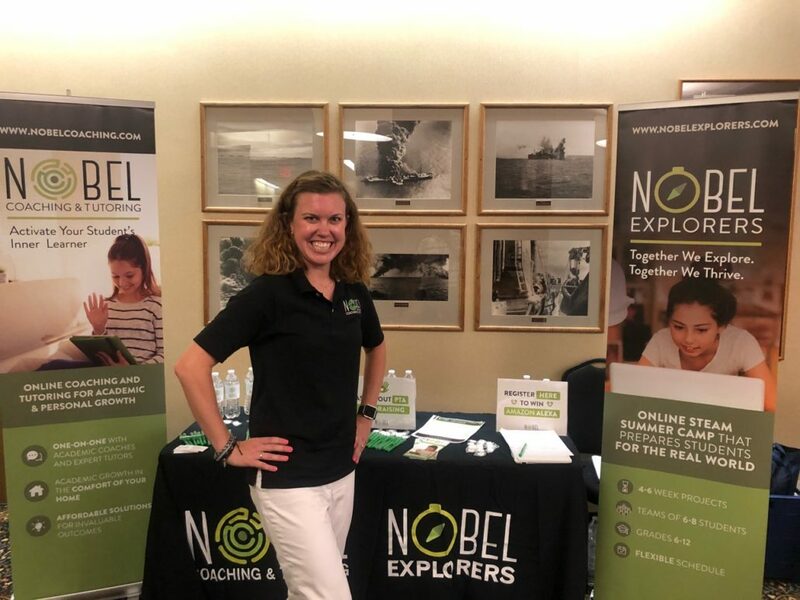 There was lots of activity around our booths, which helped us not only to spread the word about our amazing work and the Nobel Exchange program, but also to meet new people, make connections, and see, in person, the significance of our work. We are really proud of our team and all the activity we generated!